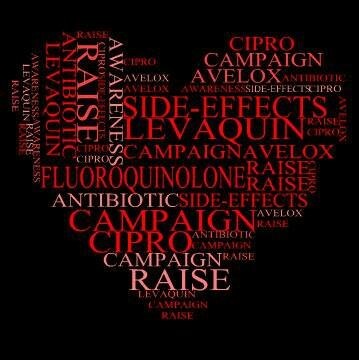 Fluoroquinolone antibiotics, Cipro, Levaquin, Avelox, etc. are broad-spectrum antibiotics used to treat a variety of infections, from urinary tract infections to anthrax and everything in between. The first quinolone created was Nalidixic Acid which was discovered by George Lesher in 1962. (Nalidixic Acid was added to the OEHHA prop 65 list of carcinogens in 1998.) Cipro(ciprofloxacin) is a second generation fluoroquinolone patented in 1983 by Bayer, Levaquin (levofloxacin) is a third generation fluroquinolone patented in 1987 by Ortho-McNeil-Janssen (a division of Johnson & Johnson), and Avelox (moxifloxacin) is a fourth generation fluoroquinolone patented in 1991 by Bayer. 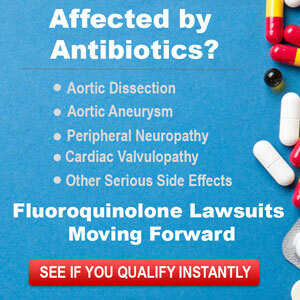 When used improperly, fluoroquinolone antibiotics can needlessly cause devastating side-effects…….